Time until Nancy Drew: Stay Tuned for Danger release day! 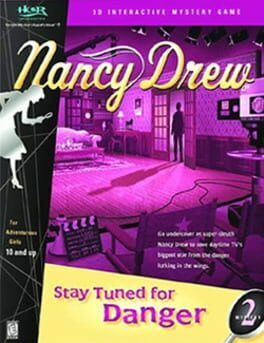 Nancy Drew: Stay Tuned for Danger was the second game in the Nancy Drew series, developed by Her Interactive, Inc, and published by DreamCatcher Interactive. It was the first in the series to include 3D modeled characters, which became a staple of the games.